Garden maintenance is something that every garden needs but all too often goes without. 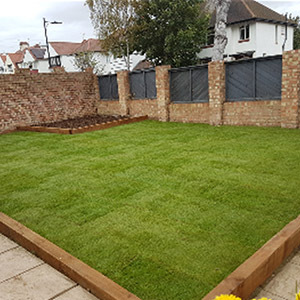 Whether it's commercial or domestic scenic groundcare offers regular garden maintenance to all our customers, whether you require us on a weekly, fortnightly or monthly basis our professional grounds maintenance team are there to tailor your needs, and with over 20 years experience they have the knowledge to provide professional solutions that work for you. Scenic Groundcare cover all aspects of landscaping from complete garden revamps to small garden patios... but what we really pride ourselves on is turfing, having laid new lawns for over 20 years for domestic and commercial customers and using a top quality turf we can guarantee an outcome you will be proud of. 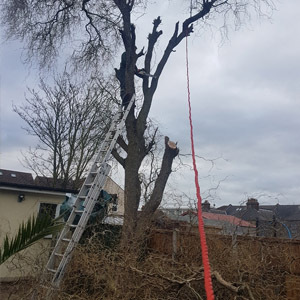 Here at Scenic Groundcare we can offer complete removal or just a prune of any tree or hedge, whether it's pruning your fruit trees annually or removing an overgrown hedge we can do it all. We also offer stump grinding services giving you the complete package. We are fully insured and licensed with city&guilds qualifications delivering a professional and safe working environment. From house hold items to general garden waste we clear it all. 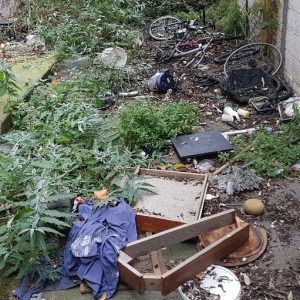 Whether it be a tired old washing machine or a garden full of brambles we at Scenic Groundcare can dispose of waste in a safe and correct manor, and with our professional equipment and vehicles we are able to get large areas cleared in a small period of time, giving you complete satisfaction when choosing us. Patios are a place for relaxing, but trying to keep them clean can be a real tiresome job when you haven't got the right tools. 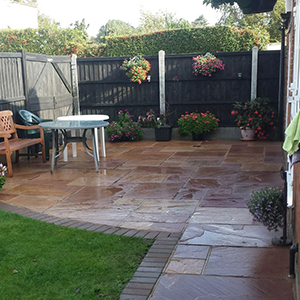 Here at Scenic Groundcare we use professional industrial power washers bringing the colour back in to your patio and once again making it a place to relax. 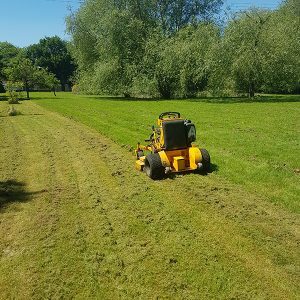 With our stand on mowers and triple cylinder ride ons we are able to make light work of large areas of grass, fields and banks. We have the ability to maintain roundabouts, school fields and parkland thanks to our agricultural machinery and professional team. 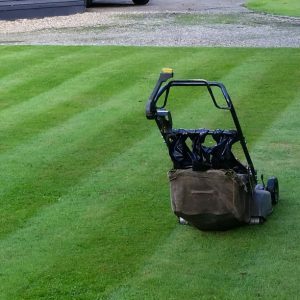 Lawn mowing, hedge cutting, tree felling, weed killing, jet washing, garden clearance, fencing, tree stump removal, turfing, planting, paving, house clearances.